I can't predict whether or not my flight will be delayed, but if it arrives on time, then customs is what is most likely to delay me. Could that take an hour or two? Even if the latter, I should arrive in Karlsruhe by 13:00 on July 19. The full conference schedule has now been published. To my surprise, the last session ends at 14:00 on Friday, July 24. I could therefore join an Arimaa gathering without difficulty by 15:00, even accounting for farewell conversations, etc. Would a Friday gathering be preferable to Sunday? It would certainly be more reliable, with no danger of a long flight delay preventing my attendance. I have been checking the Arimaa Forum only infrequently this summer, but I will check more often now in the days leading up to my departure. At least for me Friday would be better since there's no theatre on Friday. Also if it's more reliable that's better of course. I don't think customs would take that long, though I don't know since you come from US. How much time again would you have on Friday? You go again on Saturday, right? I also would be okay with two meetups but for the other people that come from far away that's not an option I guess. I leave Saturday morning, so I am available all evening on Friday. If there is going to be a gathering after all, I think I should get the e-mail addresses of those who plan to attend either on Sunday or on Friday. I believe that my cell phone plan will not work in Germany, but I do expect to have wi-fi access in the airport and my hotel, so that I could read and send e-mail regarding delays and coordinating meetings. My yahoo dot com e-mail address is yangfuli. My train ticket is still for 10:58 arrival at Karlsruhe Hbf July 19. I wish I knew the probability of being delayed, but in fact I have no idea. Odin73, I don't want you or anyone to go to great trouble for a disappointing event. I would enjoy playing some Arimaa face-to-face, and to meet some of the personalities from gameroom, but if in the end, there is no Arimaa meeting in Karlsruhe, no one should worry for my sake. Come if you expect it will be a fun time and worth it for you. I guess you will take an ICE to Karlsruhe? Those usually aren't delayed though one can never know because of strike (no plan what's the right word; google translate on that one). I guess writing a forum post is fine or you could write a gameroom message?! And to me you can of course use the arimaa.deep.blue@gmail.com . So if we meet on Friday you have enough time to check the lobby there to see if it's okay and in case of a "no" write me so I get some other location. If there is going to be a gathering after all, I think I should get the e-mail addresses of those who plan to attend either on Sunday or on Friday. I believe that my cell phone plan will not work in Germany, but I do expect to have wi-fi access in the airport and my hotel, so that I could read and send e-mail regarding delays and coordinating meetings. There are free online services that allow you to send SMSs. Though I've just checked some of them and it doesn't seem to work with my number as it did in the past. I will attend the Sunday meeting if there is one. I could also probably come Friday. Playing face to face would be a first for me. I don't have the Z-Man set, I could try to find a chess set if we need one more. There's a chance my cell phone will work, since it's so close to the border. I'm not sure yet if I'll bring a laptop. Yes, deep_blue, it is an ICE train, #103 according to my on-line reservation. I remember from living in Germany (although it was 27 years ago) that the trains run on time, and even a three-minute delay was very rare. It is not the train that I am primarily worried about, but the Delta flight. It may not depart Atlanta on time, in which case the Sunday meeting will inevitably be delayed. The only consolation is that a delay in the United States would let me post to the forum around 22:30 GMT still on July 18th, although I don't know whether that is enough advance warning to cancel or change a train ticket. Apart from the flight per se, I may be held up retrieving my luggage, or getting through customs, or getting from the airport to the airport train station, or convincing the train station kiosk to print out my tickets, or by something else unforeseen. These seem more likely to be short delays that put me on a different train that is later by an hour or two. Harvestsnow, I will bring my tournament-size Arimaa set made by ocmiente. It cost a pretty penny, so I had better use it, and what better occasion than this? Indeed, if I don't see you in train station, perhaps I will be able to find a table on which to set up the board: that would be a surer way for you to recognize me than my red baseball cap. I remember from living in Germany (although it was 27 years ago) that the trains run on time, and even a three-minute delay was very rare. But afaik ICE's are good still. So there will be a meetup on Sunday already? Btw, my train today went through Karlsruhe and I saw the Schlosshotel, looks okay, I think we can play there. Also it seems to be only 200 meters away from the Hauptbahnhof. But of course there are other options like KIT mensa and garden behind the castle. 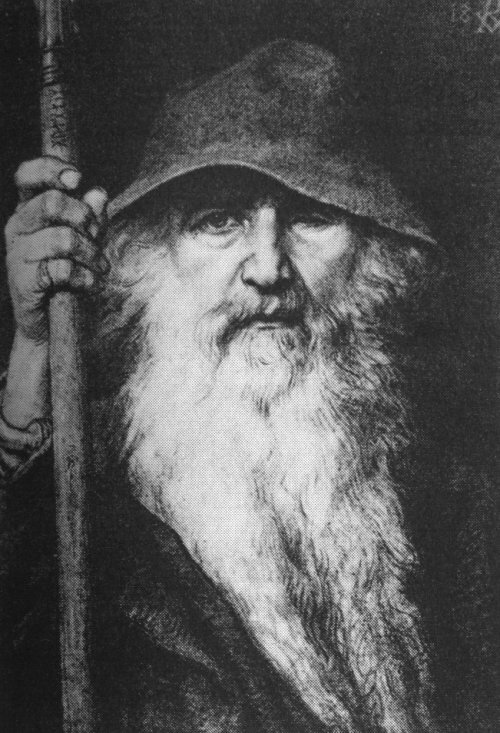 Odin, feel free to check out KA300 pavillon (just google it). Also there is the ZKM that might be interesting. On that day the city will be full of people because there are various things including an oldtimer parade which may be interesting if you are interested in cars. Sorry for my bad structured post and bad explanations, I am just super tired right now. I hope I can write more things tomorrow after I slept. My colleague kept our reservation at the Hotel Ibis, even though I see that the Schlosshotel is just across the street from it. I discovered when packing today that I can put both a chess set and my Arimaa set into the same carrying case, so I will have enough equipment for all comers. So there will be a meetup on Sunday already? Good question. odin73 hasn't confirmed yet. I have a feeling he's not coming. Thanks. I hope it's not too heavy. I understood from a previous post that you had regular sets, but it's really not what you said. Playing in the Stadtgarten could be nice. It closes at 18 and there is a small entrance fee. Harvestsnow, I am not sure what is the latest you can decide about coming on Sunday or waiting for Friday, but I will post again in about five hours with the status of my trans-Atlantic flight. Please decide according to your own preferences without worrying about offending me; I will be relaxed and happy whether there are two Arimaa meetings in Karlsruhe this weekend, or one, or none. Life is good. The Stadtgarden belongs to a zoo not sure we want to play there. The garden behind the castle is free and pretty big. Or as I said in the mensa of the KIT I guess Fritzlein will go there sooner or later anyway with his meeting. I´m sorry for Sunday but I couldn´t organize a weekend in the region. Normally I stay at my aunt in Heidelberg, but currently that isn´t possible. Since my way to Karlsruhe is quite far (5+ hours by car) I see no way to join the gathering. Fritz, harvestsnow and deep_blue I wish you all a great day in Karlsruhe, I´m very disappointed that I can´t be there. Enjoy the day, the matches and the great opportunity!